There are many moving obituaries to Sir Henry Brooke, to his work as a lawyer, a judge and campaigner. Here I want to pay tribute to his online work. It is significant that Sir Henry had a very full and distinguished career and yet I am only talking about the last four years of his life. In those years Sir Henry established a major presence online. Many people came to know him only as an active blogger and tweeter. An early post was about “The Evolving Use of IT in the Law” showing the steps that had been taken to bring the courts up to date, with a familiar opponent. 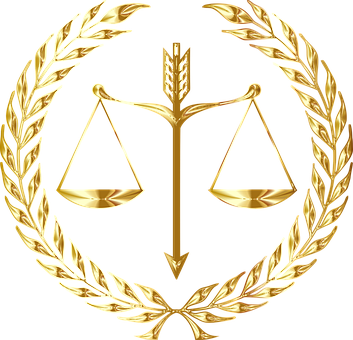 To get an idea of the scope of the blog, look at the categories “Access to Justice”, “Bach Commission”, “Diversity”, “False Accusations”, “Human Rights”, “IT and the Law”, “Judgments”, “Law Reform”, “Laspo Review”, “Legal Aid”, “Life and Death”, “Mediation”, “Stories of Injustice”. He relayed the account of how his writing on the subject had led to a lot of lay people and their advisers contacting him. This had led to the heading “PIPS” at the top of his website. However the remarkable thing is the affection he gained. This is certainly not automatic, or even easy, on Twitter. Twitter provides the demonstrable evidence that Sir Henry touched the lives of many people. The evidence of the affection he gathered can be seen in his penultimate tweet on the 28th January. I was going to end on the tweet from his son Nick on January 30th. However I couldn’t stop there. 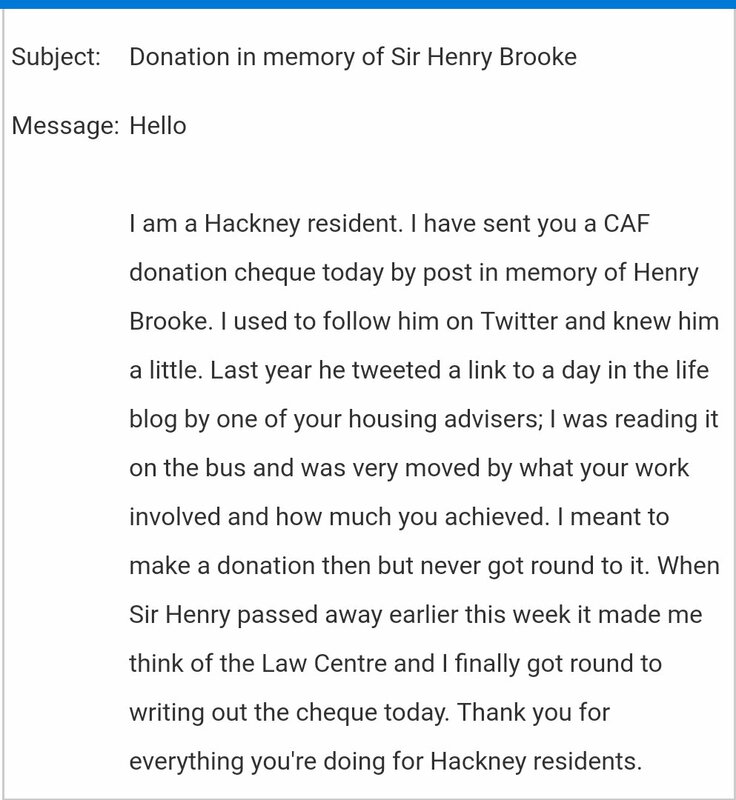 Today Hackney Law Centre sent out a tweet with an email they had received over the weekend.